These instructions assume you already have a SmartHub Login. If you do not, please follow the SmartHub setup instructions first. Verify the Payment amount is correct and click Continue. – If the payment amount is incorrect, click Edit Amount>> to manually enter your payment amount. Use the drop-down menus and complete the required form fields to enter your information and then click Continue. You will receive a confirmation message if your payment has been accepted, or a payment denied message if your payment has been declined. 1. Click the Manage My Registered Accounts hyperlink from the Quick Links. 4. Use the drop-down menus and complete the required form fields to enter your payment information, and then click either Add Card or Add Account to save your payment information. 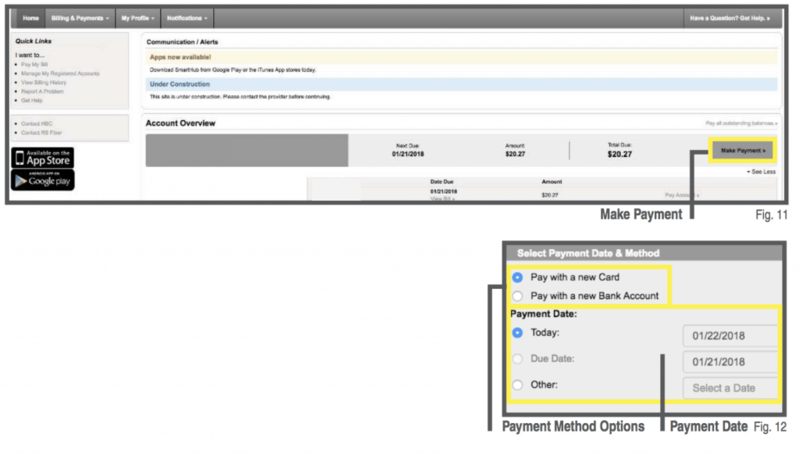 Click Billing & Payments from the top bar navigation. Choose either the Card>> or Bank Account>> hyperlink to setup your default payment method. Accept the Auto Pay Terms and Conditions by clicking the checkbox. Use the drop-down menus and complete the required form fields to enter your information, and then click Continue. If you would like to make a one-time payment without setting up a SmartHub account, follow the instructions below. Visit hbc.smarthub.coop/PayNow.html to get started. – If you do not know your HBC account number, or are having trouble accessing your account, please contact our Customer Care team at (888) 474-9995. 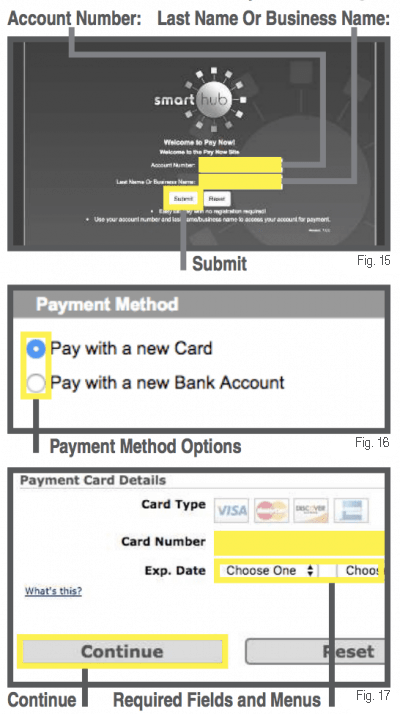 Payment form field and click the Pay Now>> button. – If you wish to save your payment method, whether it be a credit card or bank account, click the respective checkbox that reads: Save This Card or Save This Account.